If you only have minor aesthetic issues that you’d like to correct, plastic surgery may not be your best or only option. Many of our patients prefer a less-invasive approach to addressing certain issues with our non-surgical treatment options. Our highly-trained and experienced dermatologist Dr. Gabriele Weichert and board-certified plastic surgeon Dr. Philip Barnsley offer a wide range of non-surgical options that can help you achieve the refreshed, natural-looking results you desire. To arrange a consultation at Synergy Medical Aesthetics, contact us today at 250-591-1566 or complete the form on this page. Our office is in Nanaimo, and we happily welcome patients from throughout Central Vancouver Island. 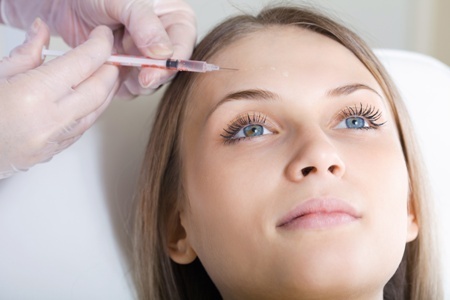 Injectables & fillers: Treat wrinkles, revolumize skin and more! Our comprehensive services address a broad spectrum of aesthetic conditions, including mole and cyst removal. Dr. Weichert and Dr. Barnsley can rejuvenate your skin, diminish the effects of getting older and even eliminate a double chin. Whether you’d like to enhance your facial beauty or eliminate unsightly veins, we can help you achieve the look you desire and the confidence you deserve. Dr. Weichert and Dr. Barnsley can help you determine which treatment is best for your unique needs and goals. She is passionate about providing exceptional care and the fresh, youthful-looking skin you want. Several treatment options, like BOTOX®, are often combined with surgical procedures such as eyelid surgery to obtain the best results. Why Choose Synergy Medical Aesthetics? Dr. Weichert and Dr. Barnsley are passionate about helping you achieve your aesthetic goals. They understand the intrinsic connection between your appearance and your self-esteem. Through a comprehensive consultation and assessment, they will work to understand your aesthetic concerns and offer recommendations that can help you look and feel your best. The doctors and staff at Synergy Medical Aesthetics are committed to guiding you through your process with professionalism and integrity. We work to fully explain our procedures and set realistic expectations for your results. We take pride in playing a role in your transformative journey, and will do everything we can to ensure your experience is as rewarding as possible. While we are proud to treat anyone in a variety of ways, we strive to establish long-lasting relationships with our clients. We want you to feel comfortable, welcome and at home. If you would like to find out how Dr. Weichert and Dr. Barnsley can help you achieve your cosmetic goals through non-invasive and non-surgical procedures, please contact Synergy Medical Aesthetics today by calling 250-591-1566 or completing the form on this page to schedule your visit. We serve patients in Nanaimo and throughout Central Vancouver Island.